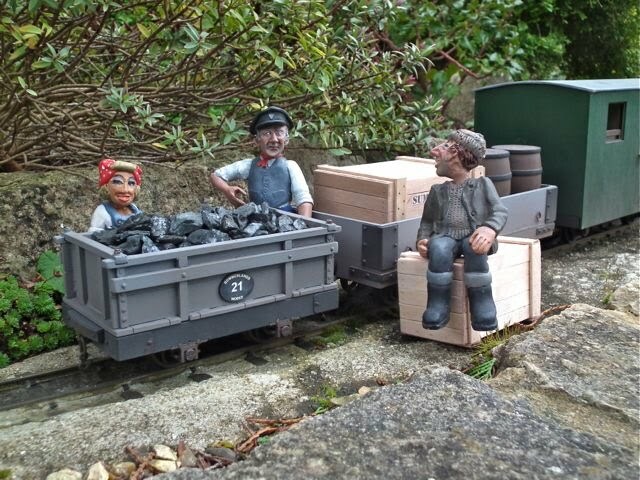 According to Bernard Rockett in his book "Penrhyn Quarry Railways Part 1 - The Early Years", a small batch of six wooden coal wagons were delivered to the quarry in 1856-7. The very distinctive beam along each side was to allow a plank to be propped there so a wheelbarrow could be pushed up for loading and unloading as no doors were fitted. 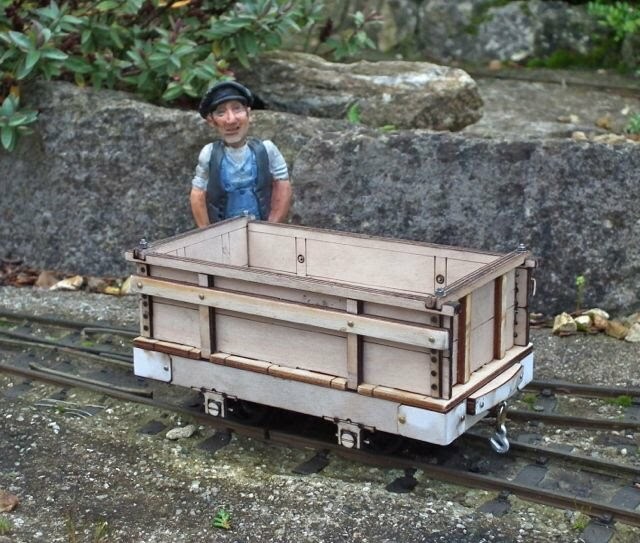 Clearly this was a precarious operation as the wagons were later fitted with a hinged door at the end. 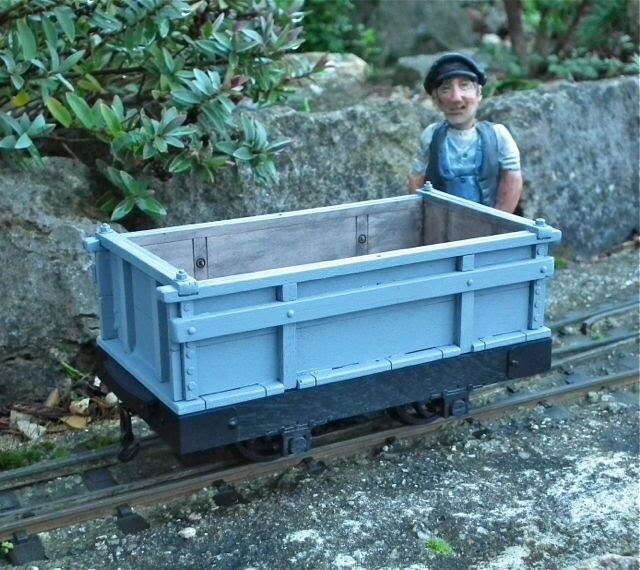 Please note that the coal wagon does not come with the number plate, but Raif can supply bespoke ones as an extra if you are purchasing multiple wagons. A surprisingly small bag contains a lot of parts! 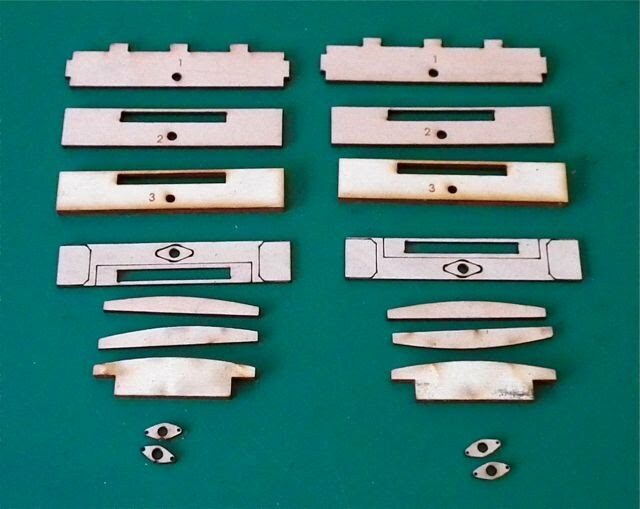 The first thing to tackle is the underframe which is made up from a series of laminations which are clearly numbered, and one that is not. The assembly is straightforward - apply white PVA glue (I use the waterproof type) to the back of the part marked 2 and stick it to the part marked 1. Continue to build up the layers quickly as you will want to adjust the alighnment before clamping. I use a syringe to apply the PCA as it is very controllable. I added all the layer sand, including the outer, unnumbered but scribed layer and the little blank discs, but not the scribed discs. No normally I would just clamp the parts after pressing the top on a flat surface to align them. 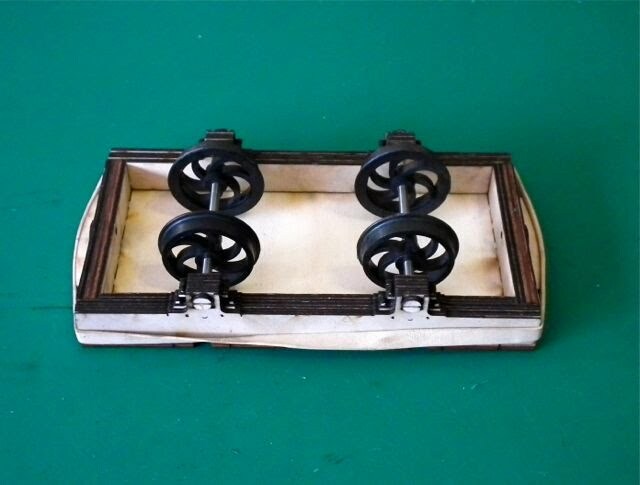 But when I did so, I found there was a bit of a warp, so I ended up putting a weight on them - and this would be much more difficult if you had added the scribed disks. In fact it would also be easier without the wheel bearings in, but these ensure a positive location and alignment. The problem with this is that the ends can lift, so extra weights were needed or a batten on edge with a weight on it. 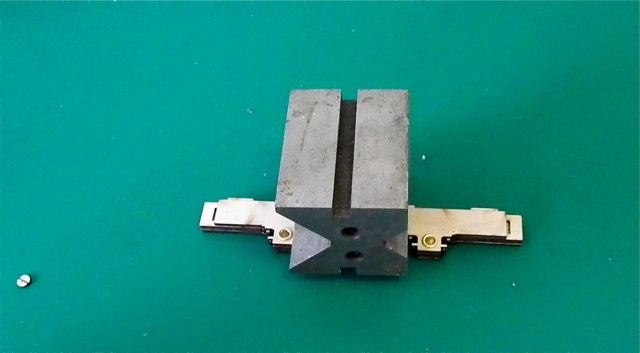 The frame ends build up in a similar way, though here the buffer is made in three laminations and slots in at right angles. I clamped this until set. 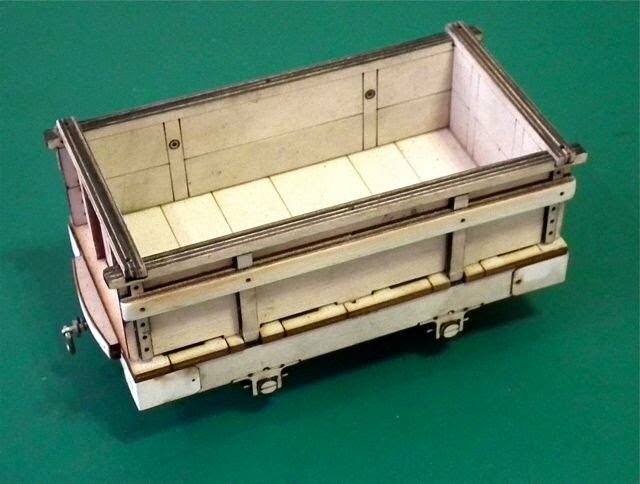 I was now able to test assemble the frame and test fit it to the wagon floor. It was at this stage that I spotted my first concentration lapse - one of the side frame outside laminations was the wrong way out (see below). I had been staring at the odd marks on it for a while before I realised they were the burn marks on the inside! Ah well - all was stuck so I could only go forward! 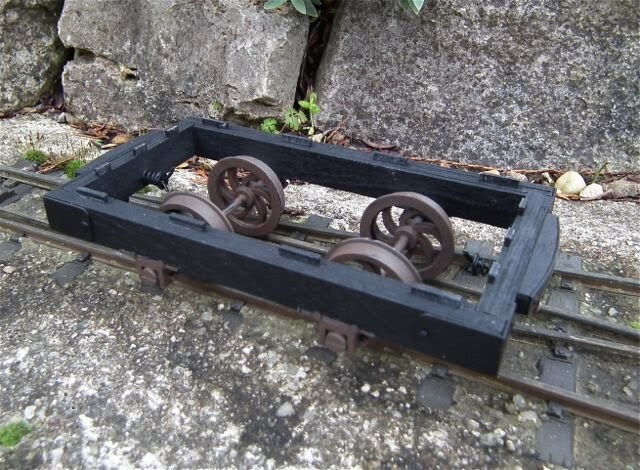 I cleaned up the edges of the Binnie wheels and fitted them to the axles at 28mm B2B measurement (for 32mm). Then I was able to fit them and glue the frame together using the floor to hold all square (make sure you don't use too much glue and stick it! 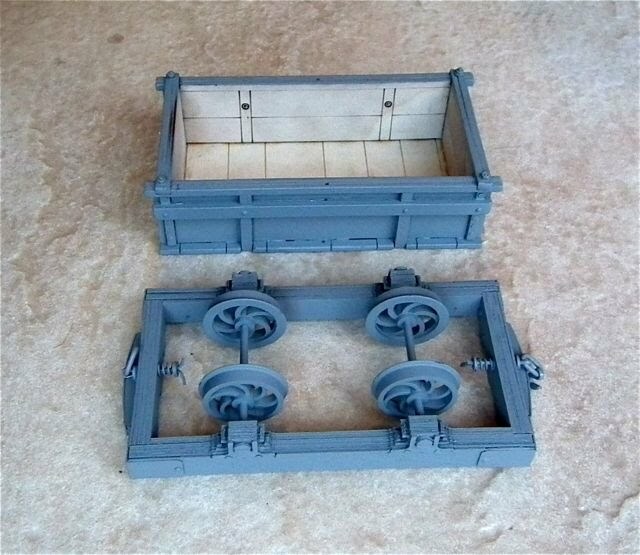 With that set aside to set with a large elastic band to hold it tight, I was able to turn to the wagon body. 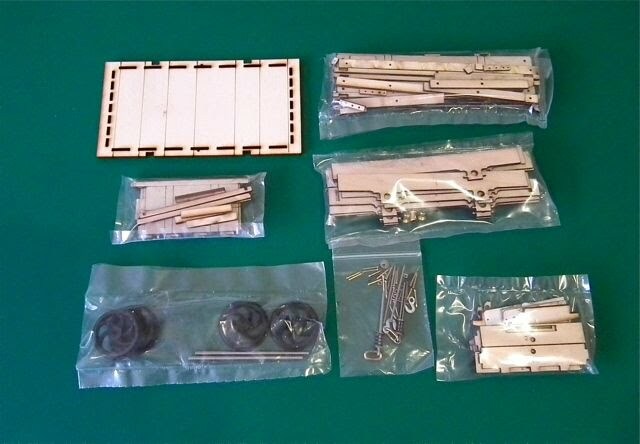 Lots more parts! Again the sides are built up as laminations and again it is important to make sure it ends up straight. I used a combination of weights and clips, and I followed the instructions very carefully. There are slight differences in the hole spacing on the long and short beams so it is essential to check you have the right one. The bolt holes must line up with the verticals. I got the second long beam the wrong way round, but spotted it before it was too late! The ends are laminated too. The outer part has the tab on it and the slotted top rail should have the slots facing up. When I opened the frame pack I was surprised to find pieces of laser cut card. 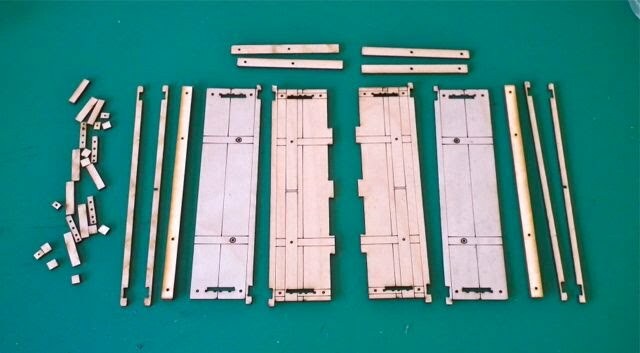 They are, in fact, the strapping for the frame and to cover the face of the buffer beams. They simply glue on. After giving everything a light sanding, it now it was time to glue the body to the floor - but I decided not to glue the floor to the chassis until I have painted it. It all fits together beautifully and can be snapped together and taken apart easily. The instructions suggest fitting the sprung couplings to the frame before gluing the body on and here I had a second major lapse in concentration. There is a photo in the instructions, but it didn't really register and I just fitted the couplings. With them in place it was a while before I began to puzzle over why they stuck out and acted like sprung buffers....... Then I realised - the spring should be on the inside of the frame!! Next came the bolt detailing. Raif supplied enough brass pins for the the big beams and to fix the strapping. I drilled out the lasered holes and glued in the shortened pins with a touch of superglue. Here you can see the less than perfect result (bottom of the photo) - though easily sorted. Please note that the couplings are now correct....I think! 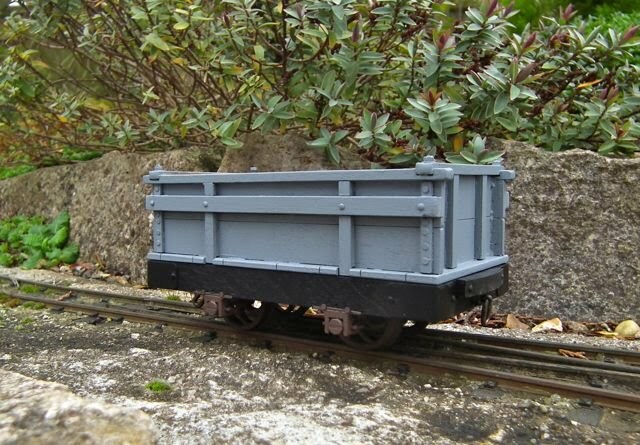 Here is the wagon snapped out on the line in a brief gap between showers. I applied a tiny amount of filler to those holes and smoothed it with a damp oil painting brush. Hopefully the filler will not need mush sanding. Well the filler needed a bit of scraping with a blunt screwdriver to smooth it off. Then it was a final rub down and wipe over before masking the interior and giving the chassis and body a couple of coats of grey acrylic primer, flashed off in front of the fan heater. Here you get a better view of the couplings. I then sprayed the chassis and wheels matt black and tinted the interior planking with a dilute wash of water based acrylic black mixed with some dark brown. Here it is test assembled just as the light was going. As usual, the primer highlighted the places where a little filler would be nice e.g. the top edges. I need to let the primer fully dry first. When it was dry (helped by a warm kitchen, I just smeared a little general purpose filler along the top of the rails where the laminations were a bit to visible. When this was dry and hard, I 'borrowed' an emery board from my wife and gently smoothed them off. They are not too perfect, and indeed one could add some 'distressing' at this stage. Then, using a piece of card to mast the interior, I just flashed over the tops of the rails with grey primer. The trouble was that I had already decided to put a number plate there.... 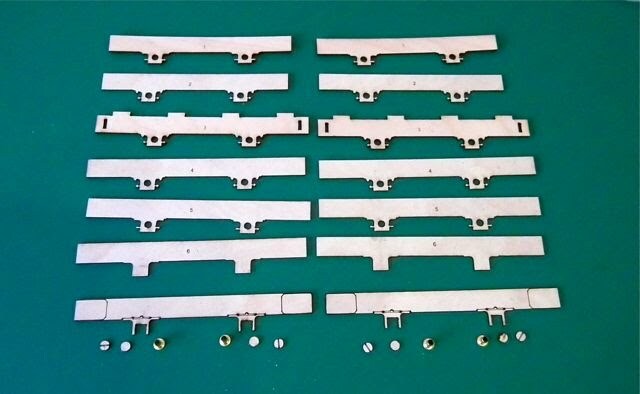 I primed the panel pins and set them aside while I did some painting and weathering. I used Revel acrylic paint to brush paint the wheels and axleboxes. Mostly matt 'leather brown' with a bit of beige to lighten it. Now it was time to airbrush some weathering. I mixed some matt varnish, leather brown, black and beige and then added a little water and quite a lot of bio-ethanol which will make it dry rapidly. 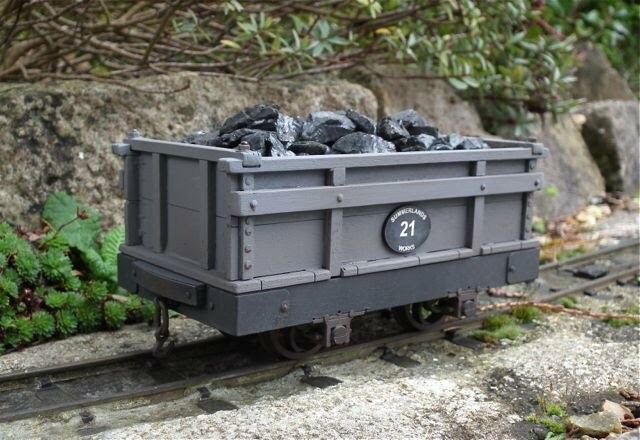 I did a number of fine passes with this wash and then mixed a very dilute black to give a bit darker coal dust effect. The it was brush pointing some rust and darker oily effect round the bearings. It is still pretty lightly weathered but fits well with the other stock. 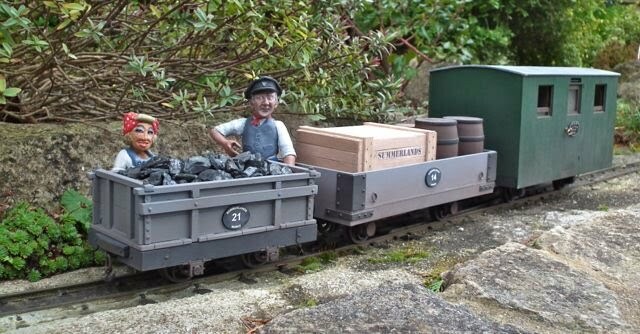 The wagon goes very nicely with the other 7/8ths rolling stock, though as the other two are Festiniog designs, the coupling is higher. 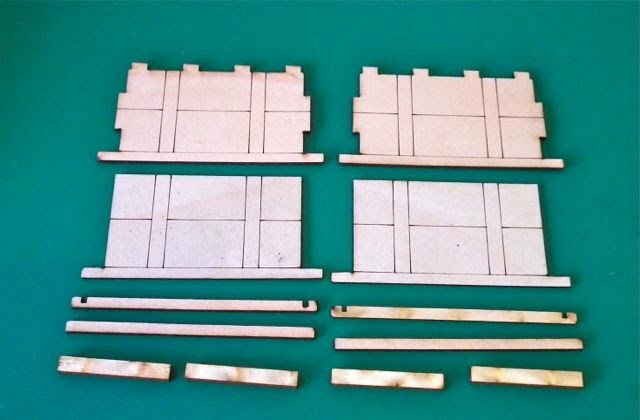 At a mere £18.50, including wheels and couplings, it has to be the best bargain of all 7/8ths kits!